Markets around the world convulsed Friday after citizens in the U.K. voted to reject their membership in the European Union. But no major European market suffered so much as Greece’s, suggesting investors are worried Greece might follow Britain’s lead. The Athens Stock Exchange fell 13.7 percent by 8:30 a.m. EDT, the steepest decline of any market on the continent. Greece was followed by markets in Spain and Italy, both down double-digit percentages as well following the British exit, or Brexit, from the EU. Fears of a “Grexit” from the EU mounted during the European sovereign debt crisis after 2009 and resurged last year as Greece attempted to renegotiate its liabilities with European creditors. 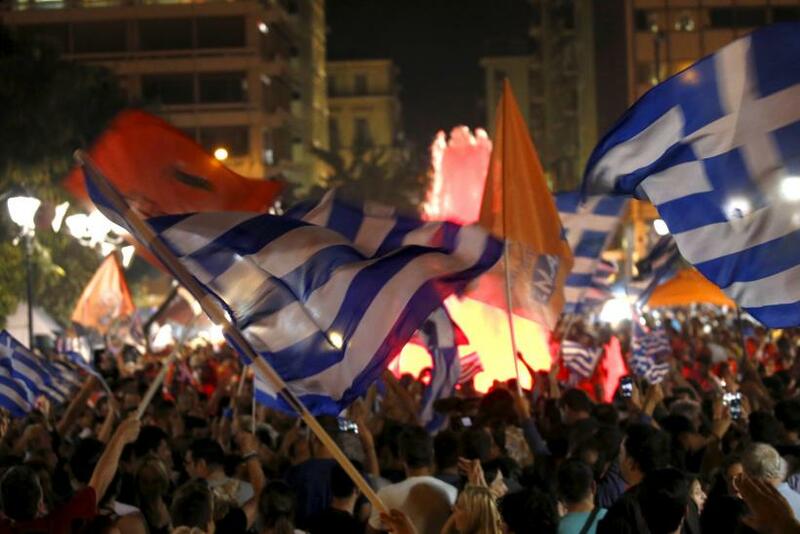 The latter fight led to a national referendum held by the Greece’s left-wing leadership, Syriza, over whether to accept the terms of a bailout agreement that entailed sharp spending cuts and further austerity measures. Seen as a potential indication of willingness to leave the eurozone, Greeks rejected the bailout measures by a wide margin. Though the Greek Parliament ended up largely accepting the bailout, EU leadership remains deeply unpopular in Greece, which has struggled to regain its economic footing in the past several years. Of all European countries, Greece has shouldered the heaviest burden of refugees from Africa and the Middle East — a migration whose impact on Britain proved a central concern of many who advocated leaving the EU. Political leaders in several European nations called for similar referendums the wake of Britain’s vote. Geert Wilders, a Dutch euroskeptic, called for the Netherlands to follow suit “as quickly as possible.” Members of France’s anti-immigrant National Front cheered the U.K.’s decision. “Now it’s our turn!” National Front Vice President Florian Philippot tweeted. Greece’s leaders, however, lamented the decision.